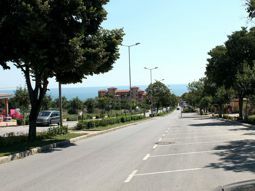 Beautiful beach apartment for rent in vacational complex Byala Cliff Center, situated first line from the sea - 80 metres from the beach, only 2/3 minutes walk from the beach in Byala. 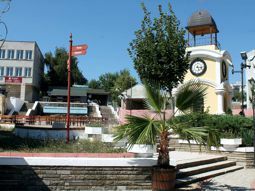 Complex Byala Cliff Center is located in the picturesque resort town of Byala. 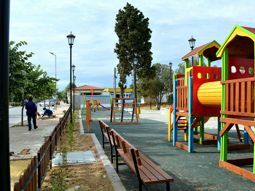 The complex is located on the seaside promenade of the town, just 80 metres from the beach, with a direct view of the sea, the beach and the Bay. 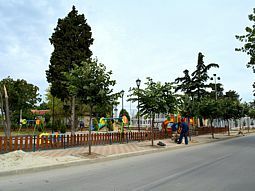 The complex consists of two blocks – A and B, surrounded by green areas. Available for the guests of the complex there is 24-hour concierge and daily Manager take care of the needs of our guests. 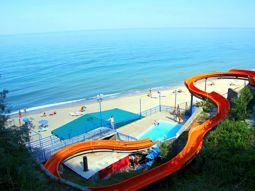 Two outdoor swimming pools with sun beds and amazing sea and beach view! 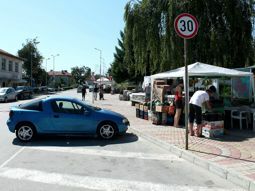 Free parking for all guests of the complex. 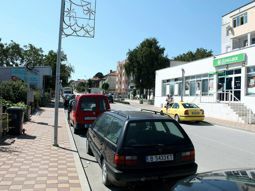 The town of Byala offers a variety of services such as: modern medical centre, post office, banks, shops, many traditional cafes and restaurants. 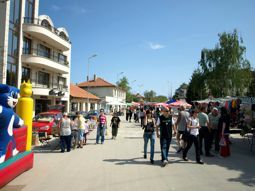 The main pedestrian street, whwre most of the shops and restaurants are located is only 5 minutes walking distance from Byala Cliff Center Complex. 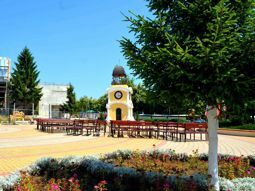 Like guests of Complex Byala Cliff Center you will use a special discount of 10% in one of the best restaurants in the town. 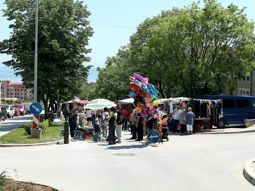 Obzor, known also with its wonderful beach, shopping center and a wide variety of restaurants and clubs is only 5 km. 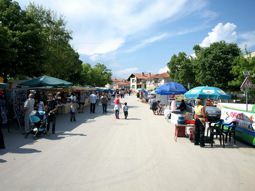 Varna city with its international Air-port is 55 km – same is the distance from Bourgas air-port to Byala. 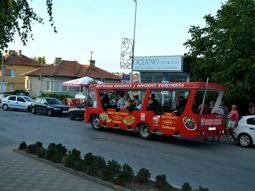 Frequent bus services are available to Nessebur, Sunny Beach, Golden Sands and to the main cities of Varna and Bourgas. 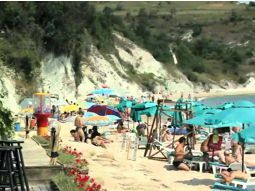 The beach in Byala is one of the cleanest on the Black Sea Coast. 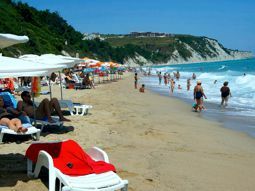 This is due to the fact that it is located far away from the big administrative cities - Varna and Burgas. 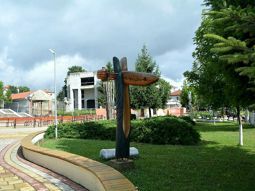 The combination of sea and mountain climate, makes Byala a great place for relax. 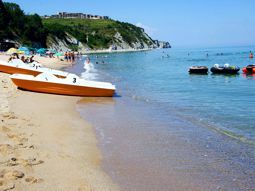 Near Byala is located the area known like "White River" - one of the wildest places in the Black Sea region. 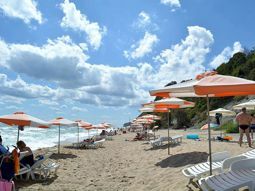 Nature in the area has retained its beauty and you can find many unspoiled beaches where you can enjoy nature and relax in peace. 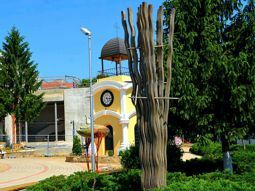 Byala is a great resort where you can spend a wonderful holiday with your family or friends! 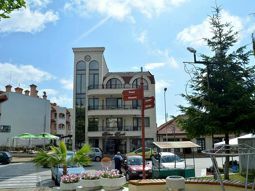 Apartment A64 in Byala Cliff Center Complex - The apartment offers a fully equipped bedroom – double bed, a wardrobe, a dressing table. Cosy livingroom with kitchen corner-fitted kitchen, modern furnished with the necessary kitchen appliances and utensils for cooking and eating; dining table with four chairs; living room area with sofa-bed on which two persons can comfortably sleep, tv, cable tv and free Wi-Fi. In the living room there is an air conditioning, which serves the entire apartment. The living room leads to a large terrace (rattan table and chairs) with nice sea view. The apartment is serviced by a modern bathroom with sink, shower-cabin and toilet. The apartment is suitable 2/4 persons - two persons can sleep in the bedroom, and another two can be accomodated on the sofa-bed. 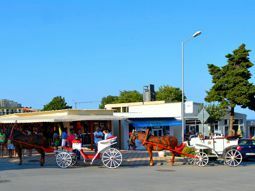 Bulgarian Home Care Ltd is offering to all guests and clients Airport transfers, local information and 24-hours emergency assistance. 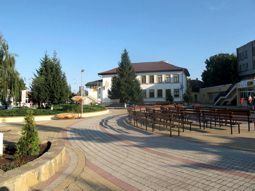 Situated on the beautiful Black Sea coast the town of Byala is a small traditional Bulgarian settlement. 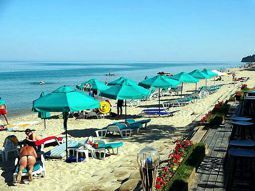 Famous for crystal blue sea and sandy beaches, and its thriving wine industry, Byala is becoming much sough after residential area. 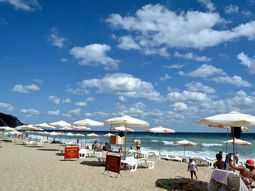 Byala beach is a long, beautiful, wide, sandy beach borders the bay of Byala. 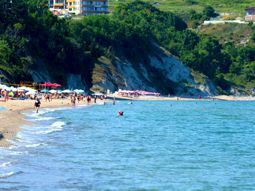 The sea waters are crystal and clear, great for family bathing and perfect for kids. 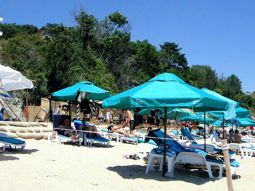 Byala is an excellent beach resort where you can spend wonderful vacation with your family!. 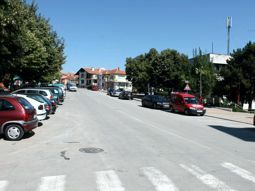 Apartments for rent in Byala town; beach vacations in Byala; reserve a holiday apartment for rent in Byala; holiday complexes in Byala. 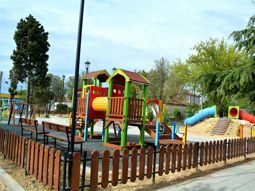 Photos from the complex, swimming pools, view from pool area, green area, beach view.